This sample can be found on p. 22. The only thing I changed was the placement of the words, the right side looked really empty without them! 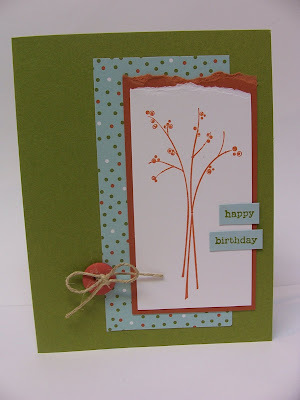 Gorgeous, I love everthing, the torn edges, the cute spotty paper, the tied button, its beatiful!